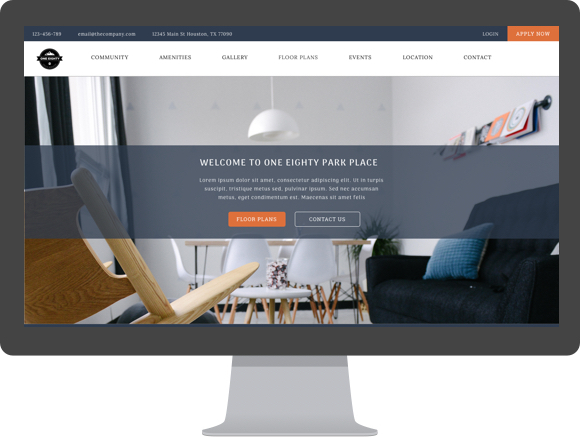 Create A Beautiful Apartment Website In Minutes. Apartment websites designed to make your property stand out. ValenceSites is the first apartment website creation tool designed by property managers for property managers. The tool allows property managers to create a mobile-friendly website tailored specifically for their property in minutes. Create a website that incorporates cutting-edge UI/UX design principles. Customize content and colors to match your company’s messaging and branding. Photos and floorplans so visitors can see everything that your property has to offer. Rest-assured that your property will look great on all devices, including mobile. Let the Valence team host your site so you can spend more time with residents. We’re here to help. When you have a question, we’re just a chat away.